Amazon’s running a Marvel digital comic sale that’s bigger than any Avengers movie today, with literally thousands of titles marked down by 50%. If Marvel published it, and it came out before this week, it should be included in the sale. 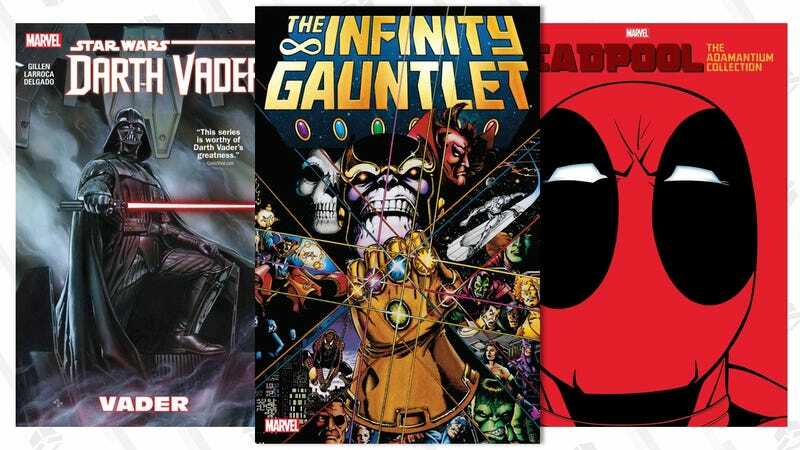 You’ll find everything from the Guardians of the Galaxy to Darth Vader to Deadpool to Captain America in there, and every hero in between, so there’s never been a better time to stock your digital shelves. The selection is overwhelming (over 20,000 titles! ), so we’ll drop a few safe bets below, but definitely leave your own suggestions in the comments.